While the details have been sketchy, this news agency has been told that several persons were taken into custody, including two VIslanders. It was said that it was the first of two major swoops made in one night as a woman and a few men were arrested and are in police custody for alleged possession of guns. According to the source, the police had close eyes on the captors after receiving tips of alleged illegal operations. Sergeant Carl Mason has confirmed that there was indeed an operation that has resulted in two Angullians and two VIslanders being detained. He said a search warrant was effected at homes in Josiah's Bay and East End where a gun, ammunition and drugs were found. This led to the arrest of three men and a woman. No need for them to worry because the ndp will spare them jail time according to doc. I like this headline VINO unlike some other news site that seem so bias. Trying to hide up front that locals were involved in these crimes: "Anguillans Among Several Arrested In Drug Probes". Had to read nearly half the article before I find out that it was locals involved. Not that I want to hear my fellow locals are in the news but news should not be bias or seem to create a bias mentality in readers that only non-locals commit crimes. One of the males I am in shock !!! Who are the 2 anguillians? The guys are in custody or out? Josiah's Bay full of Drug dealing and guns. Clean the place up! They think they own the whole area. VEX! Have you seen the commercial telling you to come on down, it's the best beach..yeah for them! JOKE! Your people who are destroying our home? You should be locked up with them...stupid idiot! I live top of the hill and I see these guys all day up and down. I take pictures of their cars and license just in case. With my binoculars I see everything from yard to yard going on so why can't the police? Officers, just come to the top and you will solve your cases. Many nice people live here and are fearful to venture too far down there. A downright shame. @ Turtle Dove..Do you live in Josiah's Bay? Then shut the Hell up because if you did you would not be saying that and if you do live there, you are one of them low lives that is why you want to protect them. Sick of allyo. You need your own island where only DIRT thrives there then maybe you will kill each other off and problem will be solved. By the way..Turtle Dove is a symbol for peace..what you using the name for? I wonder if the "chicken" came home to roost yet? Can some share the names of the Anguillians please. Yeah Gregory, This is our area too and I hate to even go down to Josiah's beach anymore. Those people down there like roaches in and out. Can't the cops drive up and down more often to protect we? I know they know who they are, they just too lazy to get out their vehicles and stop this mess. They be offering tourists on the beach all kinds of drugs and I have seen and heard this myself and the tourists who want some know exactly who to go to down thereto buy it. We need a town meeting to address this. Instead of getting better it has gotten worse, worse, worse. All the police have to do is station themselves on top of the hill with their telescopes and everything will be crystal clear. They can take pictures and then we will see clean up. YEAH! The politicians don't even see. This is their district and they don't even know what it look like. I'll take them on a tour if they want to really fix it. Noom's Grape the worse. I bring my own cooler and sit on the other side. They should check for cleanliness because I know they won't pass. NASTY. @ yeah...YEAH! Man you tell it and I am with you...It's Nasty, just go to the window and look inside. The servers don't look clean either. I live in Josiah's Bay. This place is quiet and peaceful most of the time. The beach is lovely and people enjoy being there. I haven't heard of anyone including tourists, complain about anything dangerous or are afraid of visiting there. This article stated there was an arrest in a house and everyone just jumped on the band wagon as though it is the entire area. 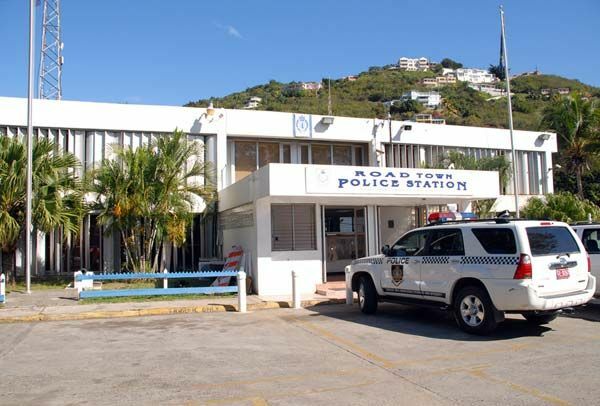 There are crimes happening all over the BVI, so don't beat up on Josiah's Bay. This beach is one of the best and has 2 seasons. Winter surfing when the water is high and summer swimming when it is calm. I love it here and have never felt threatened in any way. I agree. Josiah's Bay Beach is nice and I walk every morning before work and I feel peaceful and safe. Never had a problem. Everyone knows there are a few bad @$$3$, but they only interact with each other and don't bother the general public.